Back in action for 1974 in his stunning orange jumpsuit, the Air Adventurer with Kung Fu grip (7282) is ready for action. 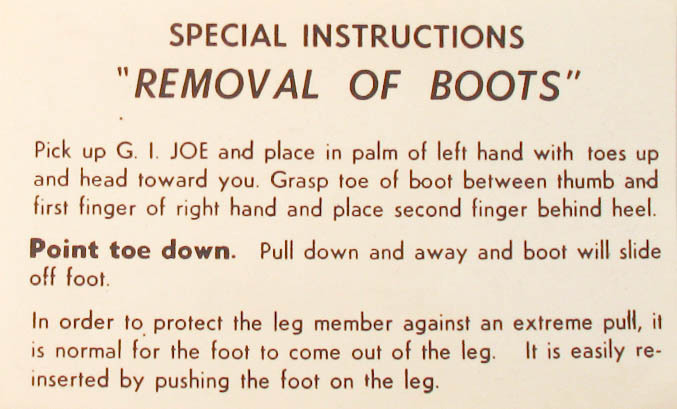 The only major update for this Joe (other than his hands) was the addition of the black rifle. See the first version here. 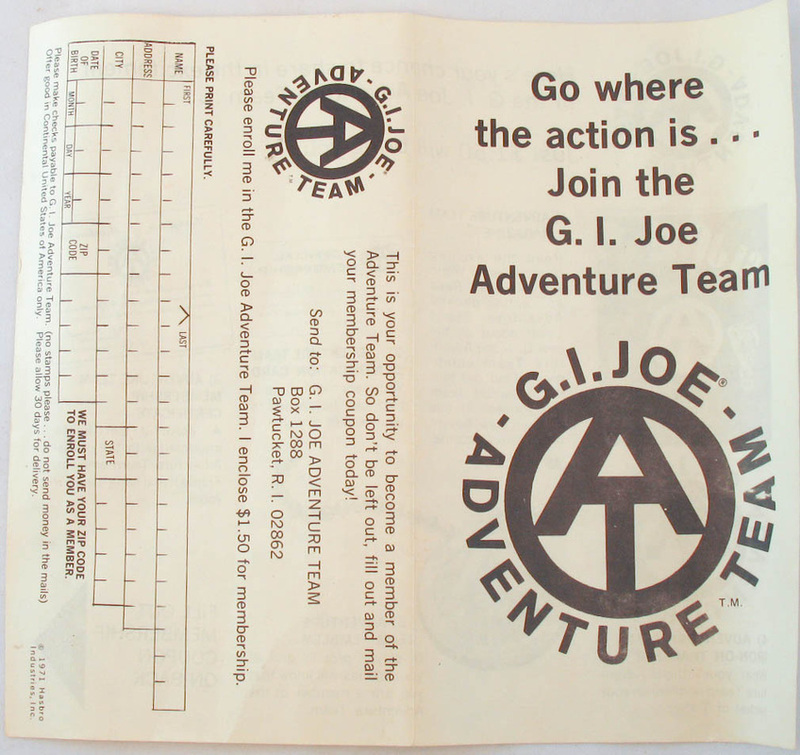 Paperwork included with the KFG era figures included the GI Joe Club invitation and the classic boot removal instructions. As with the other branches, "L'Aventurier Aviateur" got his own bi-lingual box in Canada.